While industries such as music, newspapers, film and publishing have seen radical changes in their business models and practices as a direct result of new technologies, higher education has so far resisted the wholesale changes we have seen elsewhere. However, a gradual and fundamental shift in the practice of academics is taking place. Every aspect of scholarly practice is seeing changes effected by the adoption and possibilities of new technologies. Lorna Walker finds that Martin Weller‘s recent book explores these changes, their implications for higher education, the possibilities for new forms of scholarly practice and what lessons can be drawn from other sectors. The Digital Scholar: How Technology is Transforming Scholarly Practice. Martin Weller. Bloomsbury Academic. September 2011. Martin Weller is Professor of Educational Technology at the Open University and a prolific blogger, tweeter and user of various social media and digital tools for teaching, research and other aspects of academic work, so he is ideally placed to write this timely assessment of how such technologies are now changing the working lives of academics. This book addresses a central question in current academic life – that of how best to incorporate technology into academic activities in a way that benefits academics themselves, their students and their institutions. Many academics are reluctant to engage with digital media or are wary of what they might mean for established ways of working, whilst those who do engage may be concerned that their efforts will not be recognised by promotion committees or valued by students. At the same time digital literacy is right at the top of the list of skills that employers want to see in graduates. But getting to grips with such technologies can be a daunting task for academics with already heavy workloads, particularly when their institutions often don’t recognise digital scholarship as being on a par with other forms of academic work. Weller begins by breaking scholarship down into a series of core activities – teaching, research, building networks, attending conferences and so on – and then examines how digital technologies are affecting each. Using the examples of the newspaper and music industries, he suggests lessons that higher education can learn from their experiences of technological change. One such lesson is a theme which runs throughout this book – whilst the pace of technological change is quick and its direction unpredictable, academics must engage with it rather than try to ignore or resist it. Weller argues strongly that academics will be affected by digital technology in ways that they can’t imagine, whether they engage with it personally or not. It cannot be avoided. That said, Weller understands well why academics may be resistant to digital technology and addresses reasons for such reluctance throughout the book, suggesting ways in which institutions can encourage their staff to become more digitally active and technologically literate and reward them for doing so. Some of these depend on quite substantial changes to existing models of working and it remains to be seen whether UK higher education institutions are up to the task of meeting this challenge. Weller also makes a compelling case for individual academics to engage with technology such as social media, regardless of the level of institutional support they get. He shows how using digital technology – social media in particular – to build personal learning networks can help academics become more effective in many different aspects of their working lives (and indeed their lives outside work too). Another recurring theme of the book is the importance of separating form from function when considering academic activities. For example, peer review is a way of guaranteeing research quality but the review process itself is merely the current form through which this function is delivered and Weller suggests a number of others ways in which digital technology could enable the same function to be delivered just as effectively. Similarly, the traditional large room lecture is the form through which much teaching is still delivered, but it isn’t the function – the function is enabling learning and digital technologies open up new ways in which this can be done, perhaps more effectively. The key point is that academics need to be careful not to confuse the methods of scholarship with scholarship itself. This applies just as much to technology as it does to traditional methods of doing things – the emphasis should be on how technology can improve existing practice rather than on technology for its own sake. This book includes a chapter about new models of academic publishing which is particularly topical, given the current debate about open access publishing and the growing pressure for open scholarship and a revision of the current publisher-dominant model. Weller clearly lays out the economics of the current model and suggests ways in which technology can enable a more open approach to academic publishing, along with actions that individual academics can take to help move this process along. If you are looking for a ‘how to’ guide to incorporating such technology into your teaching and so on, this book isn’t really it, although it does include a great many interesting teaching ideas. 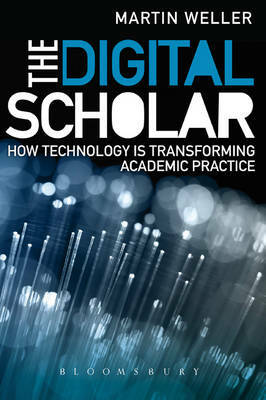 It is more a manifesto for a changing approach to digital scholarship and an argument as to why academia as a whole will benefit if more individuals adopt a networked digital and open approach to scholarship. Academics face the challenge of how best to engage with new technologies whilst trying to avoid the hype. A willingness to experiment is critical but this also requires a willingness on the part of institutions to give their academics the time and support they need in order to experiment and to be tolerant of failure. Weller makes a compelling case for the future of scholarship to be digital, networked and open. This book should be required reading for HE managers, policy makers, publishers and academics themselves, in order to help make this happen. Lorna Walker is a senior marketing lecturer at Regent’s College, London where she runs the College’s MA Business Management in International Travel and Tourism, and teaches marketing communications, copywriting, research methods and political marketing. She’s currently working towards her PhD at Cranfield School of Management, researching negative campaigning in political marketing. Other research interests include marketing pedagogy and uses of social media in academia. A former marketing practitioner, Lorna has worked in the travel, publishing and IT industries, specialising in direct marketing. She’s on Twitter @lornajwalker. Read more reviews by Lorna.